About two billion people in the world have no adequate sanitation provision whereby they can relieve themselves in a healthy, convenient and private way. This book addresses itself squarely to this enormous problem. It is a guide to what has been learned about providing sanitation coverage for both rural and urban low income communities, and outlines what is appropriate, practical and acceptable. The author undertakes a thorough examination of the health, social and cultural aspects and preferences in diverse regions of the world; and gives evidence of the diseases which occur through lack of adequate sanitation provision, and the health benefits which result from its installation or upgrading. Sanitation alternatives are presented in terms of 'technical' efficiency but also, always, in the light of cultural acceptability. The final part of the book deals with the practical, financial and organization considerations of obtaining or upgrading sanitation provision, the emphasis being firmly on the community and its needs and preferences. About two billion people in the world have no adequate sanitation provision. 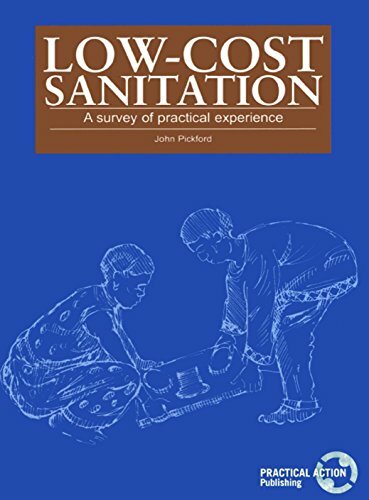 This book is a guide to what has been learned about providing sanitation coverage for both rural and urban low-income communities, and outlines what is appropriate, practical and acceptable.